Sometimes pets behave like younger siblings: they want all of your attention, all the time, and if you don't play with them they'll pester you until you succumb to their desires. 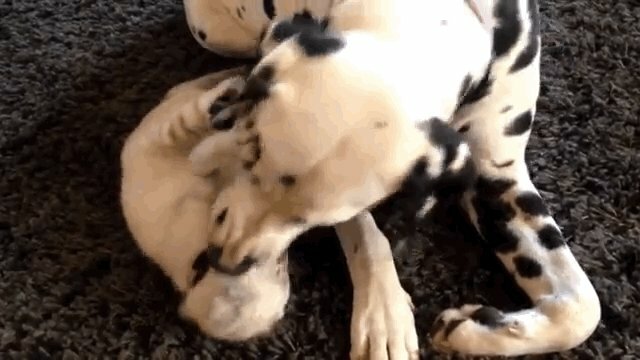 At least, that appears to be the case here, wherein the kitten is the little sibling and the dalmatian is the big sibling. Eldest children, take note: you might have a lot to learn from this dog.